T-Advisor, your app to monitor and manage your portfolio investments, has already the 3.0 version for iPad in the AppStore. 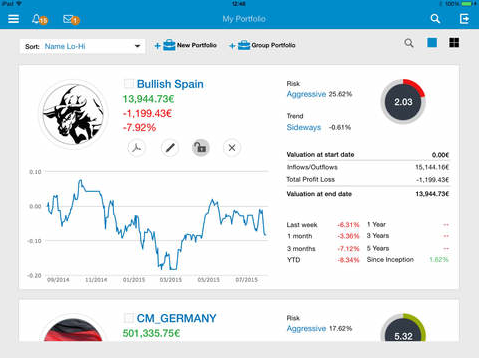 The new app provides you an improved version of all the tools that you already enjoy in T-Advisor and our new social and gamification features. Just take your iPad and enjoy the investment experience. What can you do now in T-Advisor? Our social and gamification features provide you the chance to compete and compare you results with other members of the T-Advisor investment community. Get medals for every achievement that we propose you! The more medals you obtain, the higher position in the ranking you get. 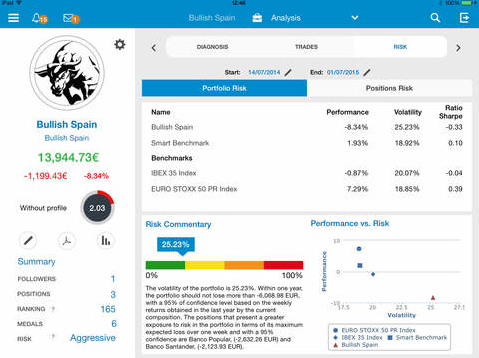 Your portfolios will also be rated by our score and include in the T-Advisor portfolio ranking. You can set into private or public your portfolio to share just some details of your investments with other community members. 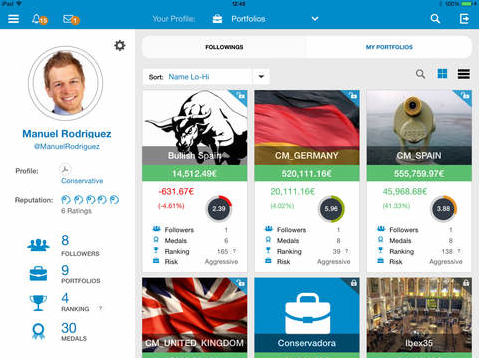 In the case of your portfolio is public, you can get followers. Besides, you can receive alerts and messages with any kind of news for your profile, as new medals, new messages from other users or new followers. Discover T-Advisor 3.0 for your iPad and download it now from the AppStore. Enter, browse and discover all our new features and what technology can do for your investments. Join our investors’ community! 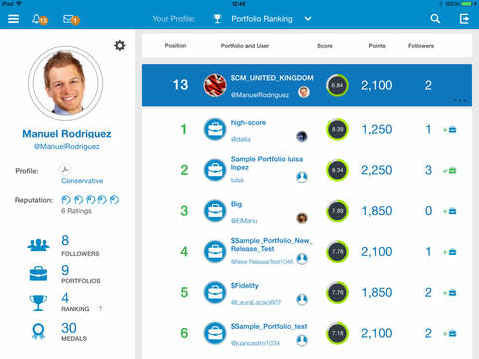 This entry was posted in Discover and tagged gamification, investment tools, iPad, social features, T-Advisor 3.0 on July 16, 2015 by Oscar Garcia.